SMSV is looking for both pre-clinical and clinical year students to make a trip up to Khon Kaen, Thailand, in end November 2014. Khon Kaen is a town undergoing industrialisation. While it is becoming increasingly modern, some parts of the community are not able to keep up in terms of healthcare, resulting in pockets of people requiring help and support. The main objective of the trip would be to reach out to these people through health education and screening, with our main target groups being an orphanage and the ‘land fill’ population. 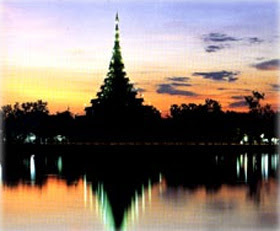 Khon Kaen is located in Northeast Thailand, a place in which there is only a single harvest season a year. Although it is becoming increasingly industralised, some cannot keep up with the development and resort to working on landfills where conditions are not completely desirable. Last year, we volunteered at the Kan Thong Orphange and conducted health screenings for the children. While most of the children are well, many of the children appeared to be neglected. In addition, the children would benefit from newer toys and clothes as the ones they had appeared to be old and tattered. Our aim for the trip this year would to conduct health screening at Ban Kum Bon Village and large-scale health education. In addition, we also aim to target children who attend the village school. English lessons will also be conducted at the village school. The health screening results would also be used to develop an electronic integrated system for reference in future trips. For the orphanage, we also aim to conduct primary health care and health education. A donation drive would also be conducted to provide newer equipment for the children. Also, time spent at the orphanage could also provide the children with some educational activities. To provide students in the pre-clinical years with the experience of medical mission trips.To allow students to appreciate the different living conditions of the population and how this impacts their health. To apply the concepts of medical education into actual practice.